Product Description Hard and Soft. Distinguished by the striking balance of soft tones and modern, crisp lines, the Concerto nightstand is crafted in excellence, down to the final detail. A unique, lustrous nickel-plated chrome base enhances the extravagance of any bedroom with its geometric design. 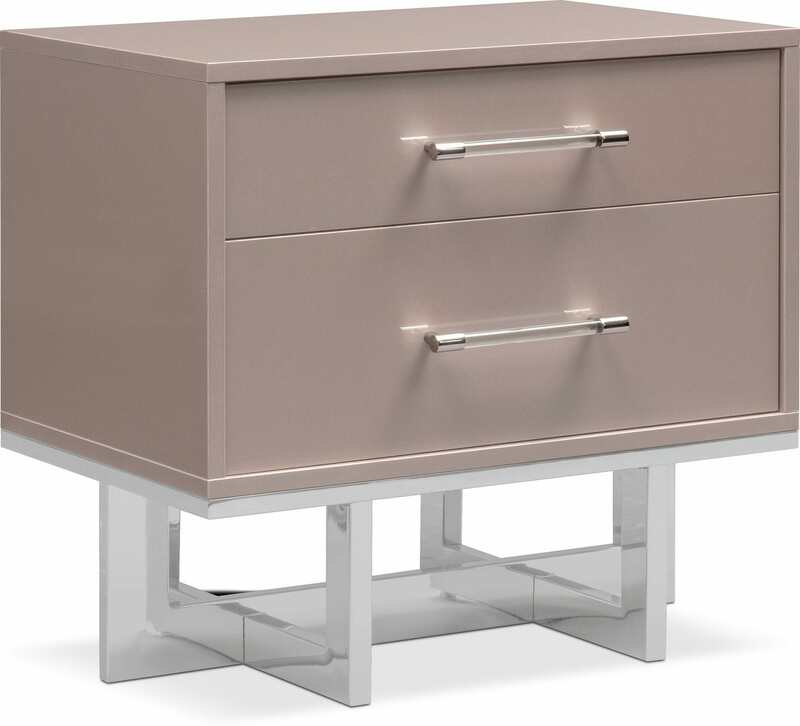 This spacious storage piece is finished in a champagne-colored, lacquer sheen with Lucite drawer pulls, and features two-toned accents for contrast. Customer assembly required. Unique Features: As lovely as it is alluring, the champagne finish adds finesse to any space.